- When an infection has destroyed a significant portion of the tooth or the surrounding bone. 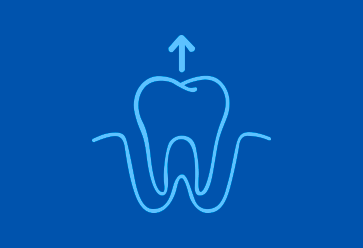 Before removing a tooth, the dentist will carefully study your medical and dental history, and will take appropriate x-rays. Before the extraction, the dentist will anesthetize the area surrounding the tooth. To do this, a local anesthetic that numbs the area of the mouth where the extraction will take place will be used.